Help you bring out professional-level video. Correct color and make creative image with Color Tuning tools. Make good use of your music with Audio Mixer and Audio Equalizer. I have some valuable videos and older movies. But they're not quite fit for watch: the quality is bad, the image is blurry and video is dark. How can I improve the quality of them? Many people are wondering how to improve video quality easily and quickly. Don't worry. 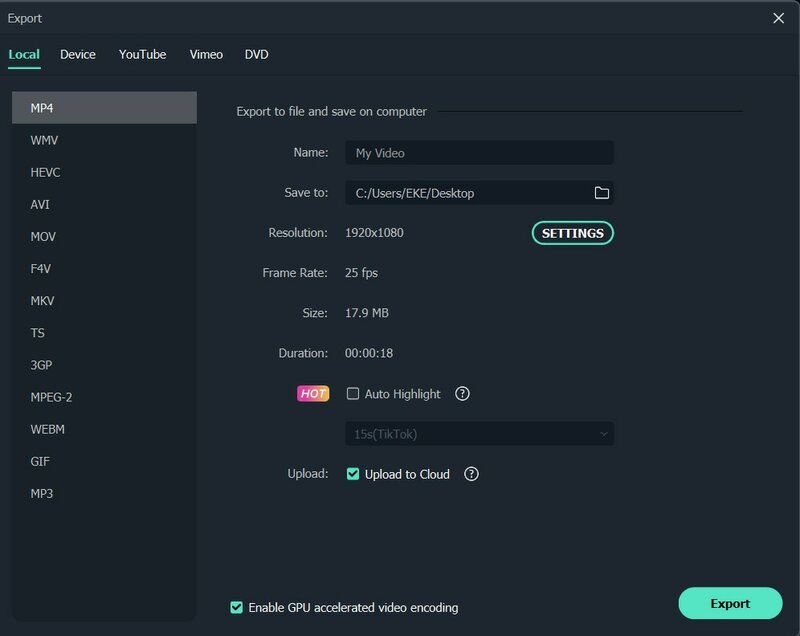 To improve the quality of video, Wondershare Filmora9 is ready to help. 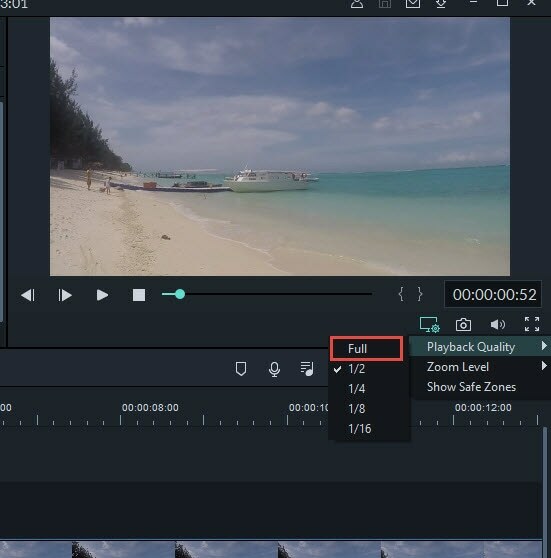 This powerful video editing tool is packed with various careful-designed advanced options to help you bring out professional-level video image and sound effect. In a general, many people thought resolution is the key factor that changed the video quality after they edit or download a video. Well, it is kindly true. We have to admit that resolution plays an important role in improving video quaility. However, we cna't ignore the existence of bit rate and encoder system. Dont't know what is bit rate? Simply put bitrate is the number of bits per second. So it is also important that you improve bit rate and have a great encoder. 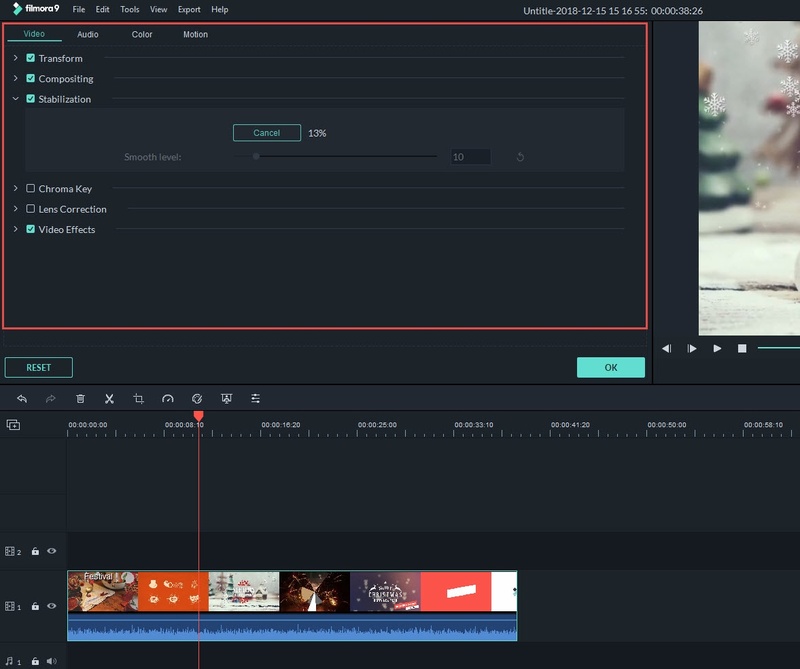 Open the Wondershare Filmora9, choose choose"New Project" to enter the main editing interface. Then hit "Import" to load local files. You can also connect your devices either by clicking the Import button or just drag-and-drop the files into the program. Filmora9 handles pictures, video and audio files with no hassle. Method 1: After importing all the media files to the program, drag and drop them to the respective tracks of the timeline. Enter "Edit" with right-click on the media clip you need to enhance. There're several basic settings such as rotate, crop, speed and adjust. Here you can easily change the contrast, saturation, brightness and hue. Audio editing is easier. Click Audio column and set options as you like. Here you can adjust output volume, fade in, fade out and pitch. Method 2: Besides that, Wondershare Filmora allows you to apply different filters at once, to fine tune the images of video the way you want. You just have to click Effect tab and drag the stunning filter effects to the timeline. After improving the video quality, click the Play button to preview the new video. If you're happy with the result, hit Export to save or share your completed video. 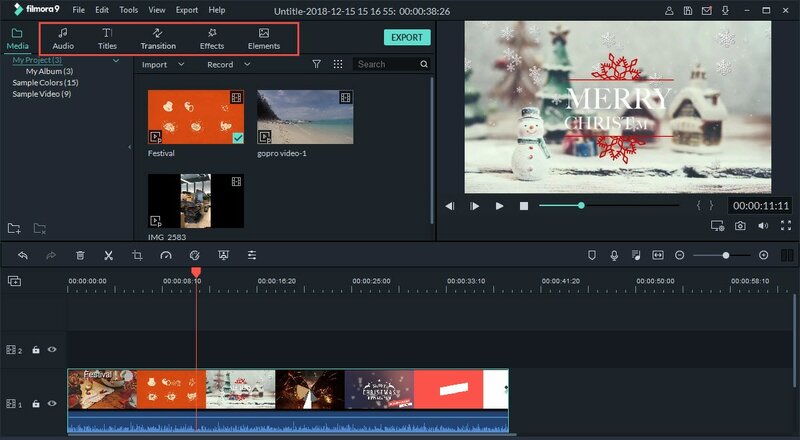 You can go to the Format tab to encode the video into various video formats according to your desire, or export the video to popular mobile photos and portable devices in the Device tab. If you want to burn a DVD, navigate to the DVD tab. On top of that, you can also share it online through the YouTube tab. Windows Movie Maker is a video editor belonging to windows suite, so there is no compatible issue if your system is Windows. Windows Movie Maker will optimize your video automatically. However, if you feel like you want to improve video quality by yourself, you can also do it by your own. Below are the steps. Take a look. Step 1: Launch it and click File to import the video you want to eidt. Step 2: After editing, you can click File again to choose Save Movie File. Then click My Computer and Next to open the Movie Setting window. Step 3: In this step, you can click Show more choices link under Best quality playback for my computer. Then Click the Other Settings radio button. Step 4: In the drop-down menu, open Other Settings. If you want the highest quality video, select High quality video (NTSC) with just one click. Step 5: In the end, click Next to save it. Now, you have learned how to improve video quality with Filmora and Windows Movie Maker. Why dont't you have a try now. Leave a comment below to let us know your idea. why my timeline is so blurry. I have same issue, its so weird as soon as i add to project i can't read any of the writing. I paid for appsumo deal but with this issue and the fact i have can't set up account. Think I may get refund in the morning. Never mind. I understood what you meant now. Thanks. But why would I need to check the FPS and kbps? Even if I do there's nothing to do there since you cant change that in Filmora can you? this really helped but i am having trouble getting to properties window, Is there a chance you could tell me how? I figured it out when you import your videos right click on the video you are working on, when you right click go to properties and check if your videos 1920x1080 check your, fps, and your kbps. 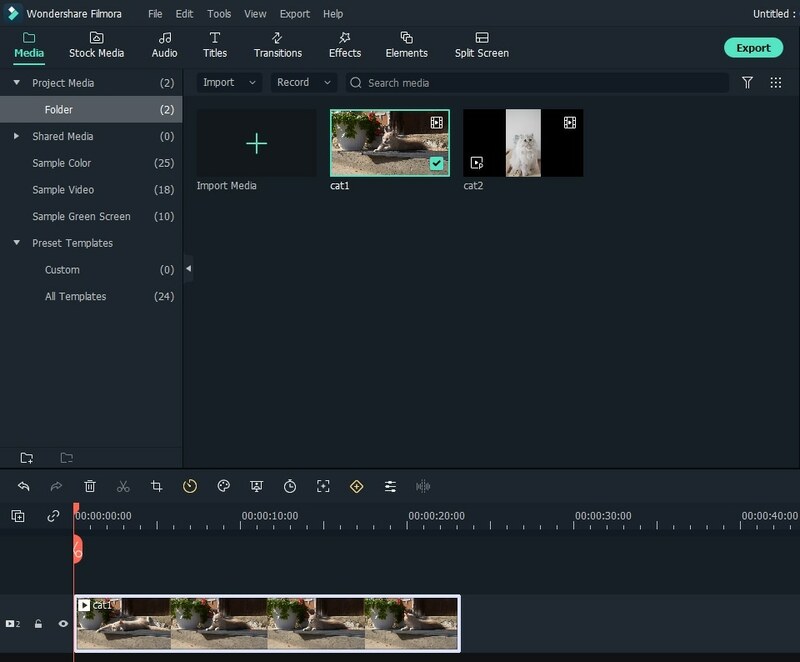 Work on your videos on the timeline even if they come out blurry. When you finish click on export create videos, format WMV click on settings, and make sure all the stuff on properties matches like yor fps, kbps, 1920x1080. and download it to your computer and it should come out good! Then you can upload to youtube ! Hope that helped. the same thing is happening to me, what do I do? When I export my videos they are clear and good but when I drag them to my timeline they come out so blurry! Somebody please help!